Comments: A temperamental shrub that is a dense, slow-growing, rounded and mounding kind with beautiful foliage variegation. Do not allow roots to become very dry and mulch in summer to keep them cool. 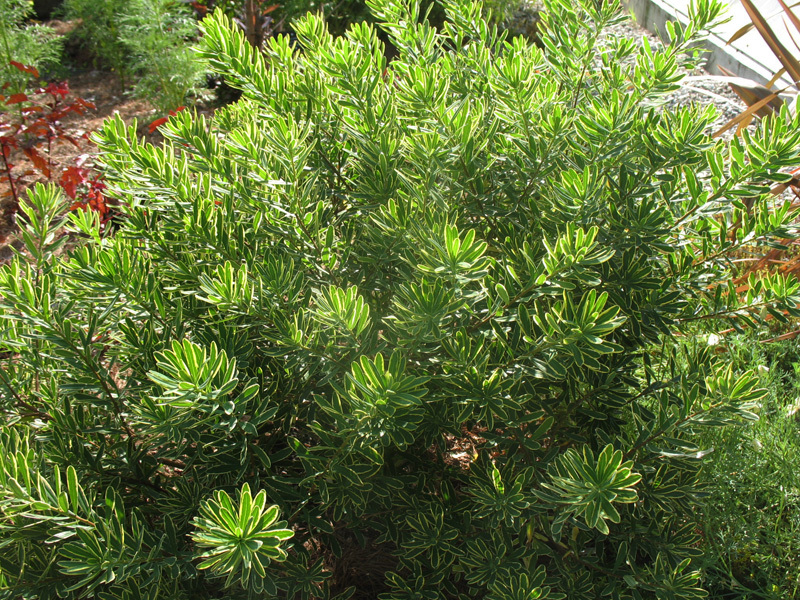 This is semi-evergreen shrub in most areas, however, it may be evergreen in its southern most range. The green leaves have a margin of creamy white. May be used as a specimen, in foundation abd rock garden plantings.